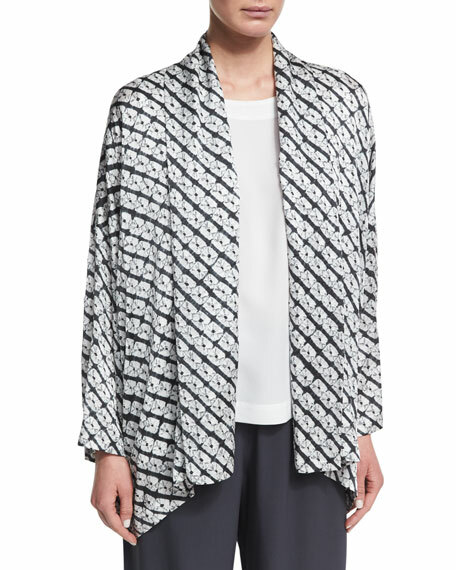 Eskandar hand-dyed small diamond shibori silk jacket. Hem hangs slightly longer at sides. For in-store inquiries, use sku #2079483. 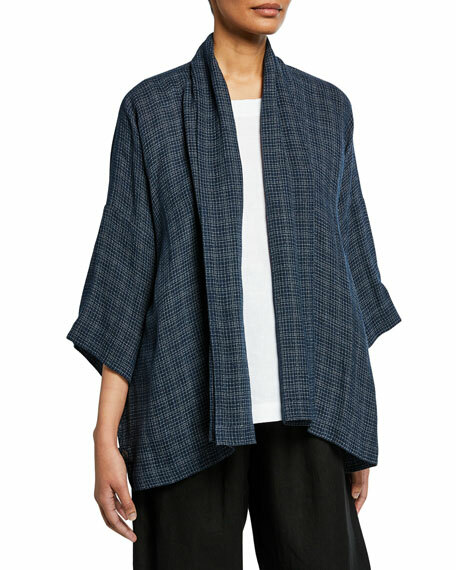 Eskandar jacket in lightweight twill. Scrunch shawl collar; open front. Three-quarter sleeves. Side slit detail. Boxy fit. Linen/cotton/polyester. Made in Poland from Italian materials. 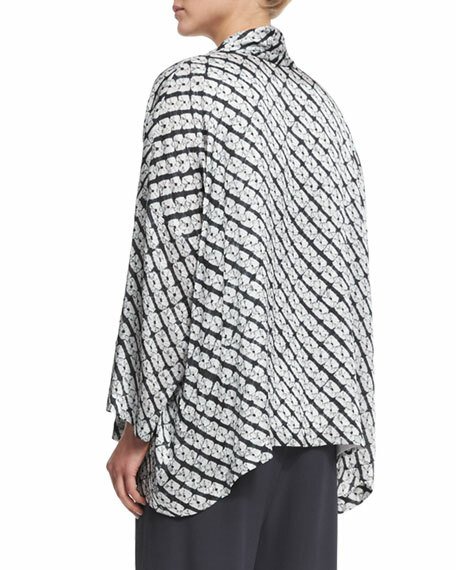 Etro boudoir-inspired poncho reverses from paisley velvet to paisley crêpe de chine. Shawl collar; open front. Wide kimono sleeves. Relaxed silhouette. Hem covers hips. Lustrous fringe trim. Viscose/silk; reverse, silk. Dry clean. Made in Italy. 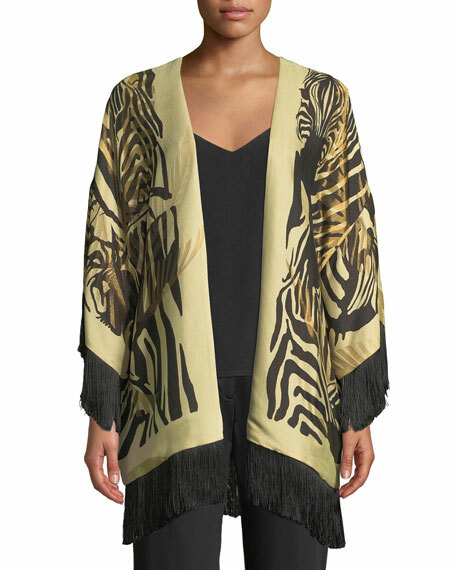 Jonathan Simkhai crepe satin robe with side-stripes. Shawl collar; open front. Long sleeves. Side slip pockets. Detachable self-tie belt. Relaxed silhouette. Button plackets at hem. Below knee-length. Acetate/rayon/spandex combo. Combo, acetate/nylon/spandex. Imported.